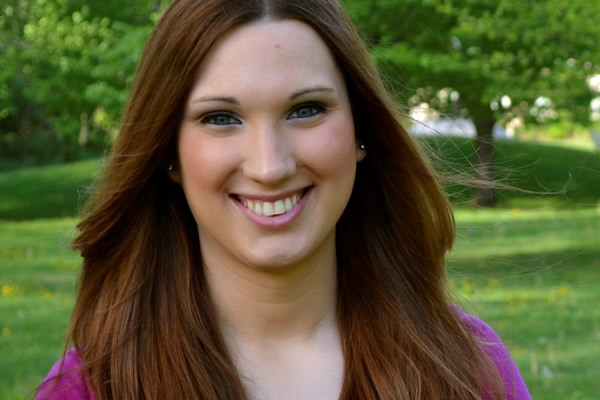 PHILADELPHIA — Sarah McBride this week will become the first openly transgender person to speak at a major party convention. McBride — who is the national press secretary for the Human Rights Campaign Foundation — is scheduled to speak at the Democratic National Convention on Thursday. She is slated to take the main stage inside the Wells Fargo Center alongside U.S. Rep. Sean Patrick Maloney (D-N.Y.), who co-chairs the Congressional LGBT Caucus. “I’m so proud to stand with the LGBT Caucus and speak out in support of Hillary Clinton, because we know she stands with us,” she added. McBride is a former staffer at the Center for American Progress. The American University graduate who is from Wilmington, Del., also played a leading role in securing passage of bills that added gender identity to Delaware’s anti-discrimination and hate crimes laws in 2013. McBride is scheduled to speak at the Democratic National Convention a week after Donald Trump formally accepted the Republican Party’s presidential nomination in Cleveland. Delegates to the Republican National Convention last week approved a party platform that, among other things, opposes the use of federal funds to ensure trans people can use bathrooms consistent with their gender identity. Caitlyn Jenner on July 20 criticized North Carolina’s controversial House Bill 2 — which bans people from using bathrooms in public buildings that are consistent with their gender identity and prohibits local municipalities from enacting LGBT-inclusive nondiscrimination ordinances — during her appearance at an event the American Unity Fund held at Cleveland’s Rock & Roll Hall of Fame.